Thinking Nitro? 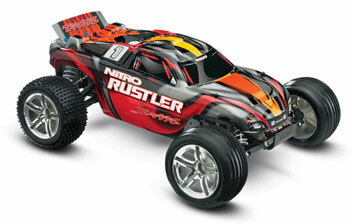 Making the jump to high-speed Nitro Power is easy with the new Traxxas Nitro Sport RTR Truck. 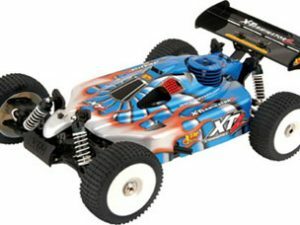 Traxxas pioneered the concept of Ready-to-Run nitro trucks and we have been perfecting them for nearly 15 years. 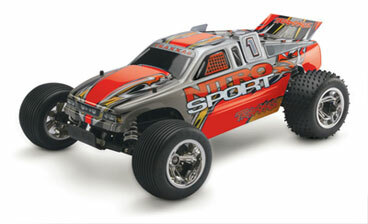 Nitro Sport is fast, easy-to-use, and loaded with performance. 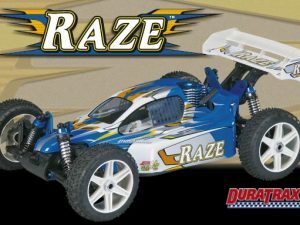 Traxxas professional factory assembly along with our exclusive EZ-Start push-button electric engine starting gets you running just minutes out of the box. Part of the fun of nitro is learning how to tune the engine and watching as small fuel mixture adjustments reward you with huge performance gains. Nitro Sport’s TRX Pro.15 engine delivers proven power and reliability and features a precision two-needle carburetor that delivers high output over a wide range of conditions. The wide tuning latitude makes the TRX Pro.15 very forgiving so it stays running and idles smoothly as you learn how to perfect the tune and optimize the performance.